The kitchen is often the nucleus of any home. So many memories are made with friends and family over delicious meals and delightful drinks. Your kitchen does so much for you and your family, doesn't it deserves some love and attention? If you're looking to renovate or renew your kitchen, one big question to address is your drawers, shelving and cabinetry. What colours will you choose? What type of finish? Do you want a more classic look or would you prefer something modern and minimalist? 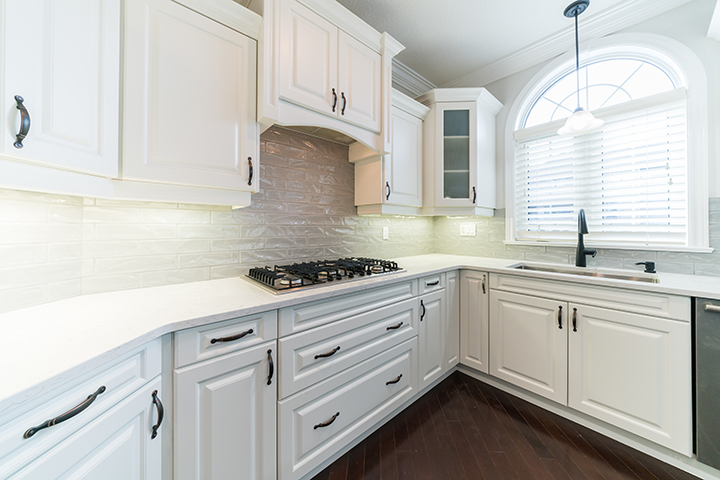 What type of kitchen cabinetry speaks to your character and the character of your home? There are so many questions and so many different styles of cabinetry to consider. Our team at London Renovations has undertaken numerous kitchen projects, and we are confident that we can help you strategize and design your perfect functional and fashionable kitchen! Be inspired, and then give us a call when you're ready to get started!